Residents of Kay Christine sing hymns during the Mass. December 3, 2012 dawned sunny and hot as usual here at the St. Germaine Center for Rehabilitation. 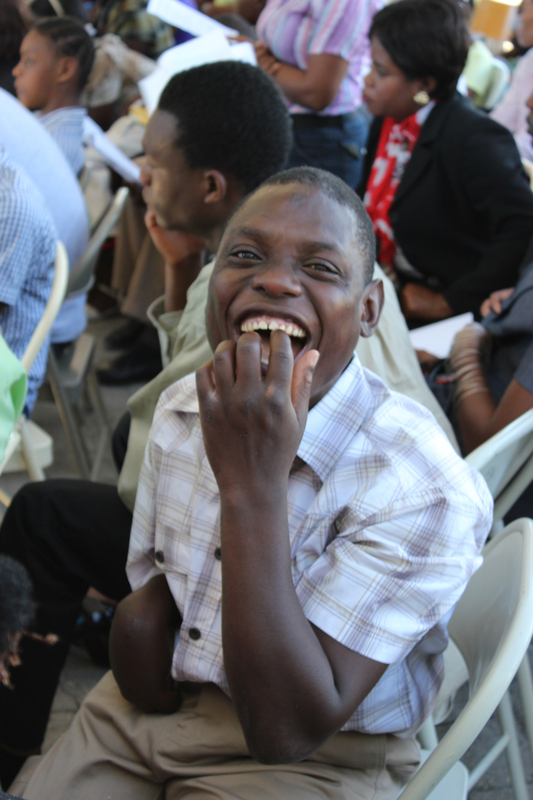 It was the NPH Haiti Special Needs Programs’ Annual Celebration of International Day of the Handicapped. And what a day it was! We had a huge turnout! 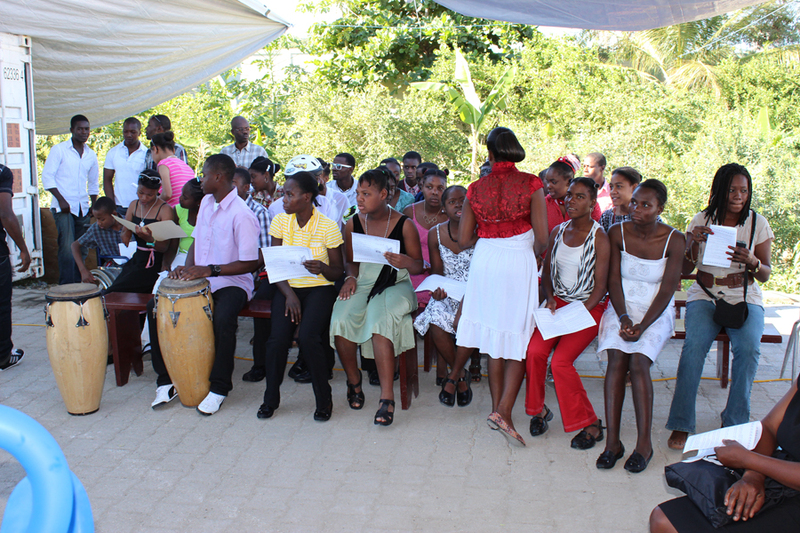 Individuals from Kay Christine in Kenscoff, Kay Eliane in Petionville, and Kay St. Germaine in Tabarre were proudly dressed in their finest attire, all excited about the celebration. The day began with a beautiful Mass, with the Kay Christine residents singing the selected songs. 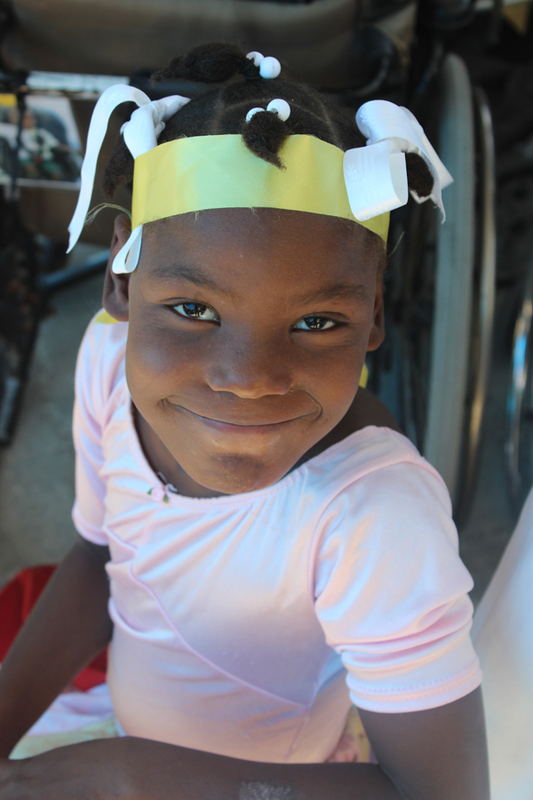 Gifts of fruit, donated by each family at the St. Germaine School, were carried on platters by the children in wheelchairs and presented as the offering in true Haitian fashion. Klas Papiyon sings a song about the parts of their bodies. After Mass, the performances began. The older residents of Kay Christine opened the show with a choreographed dance that had the crowd cheering. Each class at the St. Germaine School prepared at least one dance or song. The classes with children in wheel chairs participated in a choreographed dance with the help of parents and teachers in the school. All performances reviewed concepts that had been targeted these past few months including: parts of the body, colors, days of the week, months of the year, as well as spatial concepts. The children were so proud to get up on the stage and show off their skills and their knowledge and the crowd was so supportive! Dominique excitedly awaits her class performance. After the performances, all the children were presented with small gifts, definitely well-deserved, and everyone in attendance was treated to a light lunch. The love, acceptance, and pride so evident in all the day’s activities were truly moving. Kay Christine’s charismatic Innocent enjoying the festivities! Events such as Kay Ste. 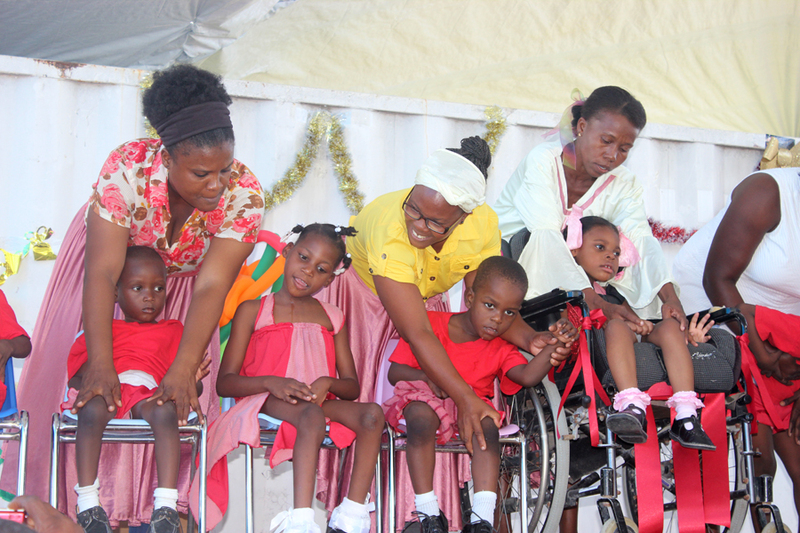 Germaine’s “Fete Andikape” are crucial in breaking the stereotypes and harmful prejudices that exist towards people with disabilities. Showcasing all of our student’s talents and capabilities however small is primary to our philosophy of inclusion. Families, neighbors and politicians alike get to witness and experience these bright young people in the positive light that they deserve. How exciting. I would have loved to have been there to see that.